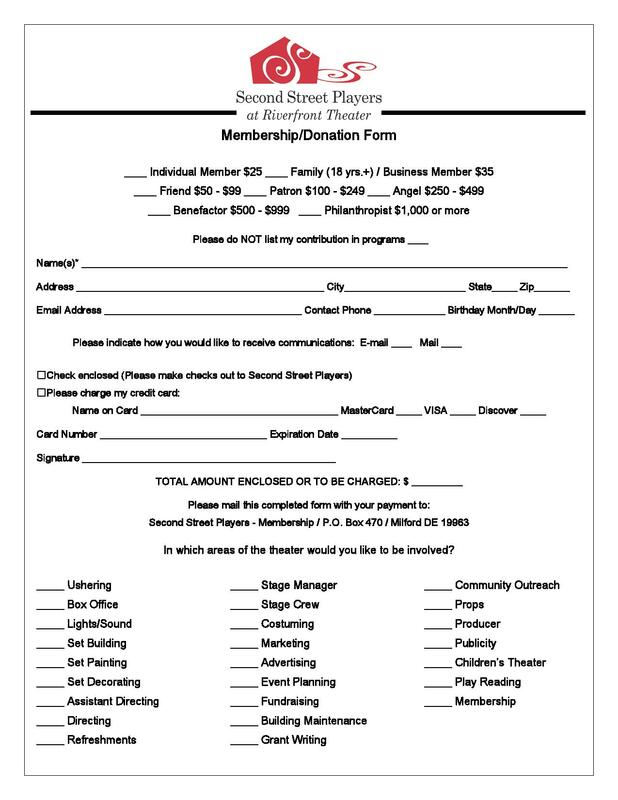 Become a Member and Supporter of SECOND STREET PLAYERS! Milford Second Street Players is your community theatre. We rely on you in the audience, on the stage, behind the scenes to do what we do best. But we also rely on the financial support of people like you to support our goal of bringing high quality and affordable live theatre to Milford and our many surrounding communities. 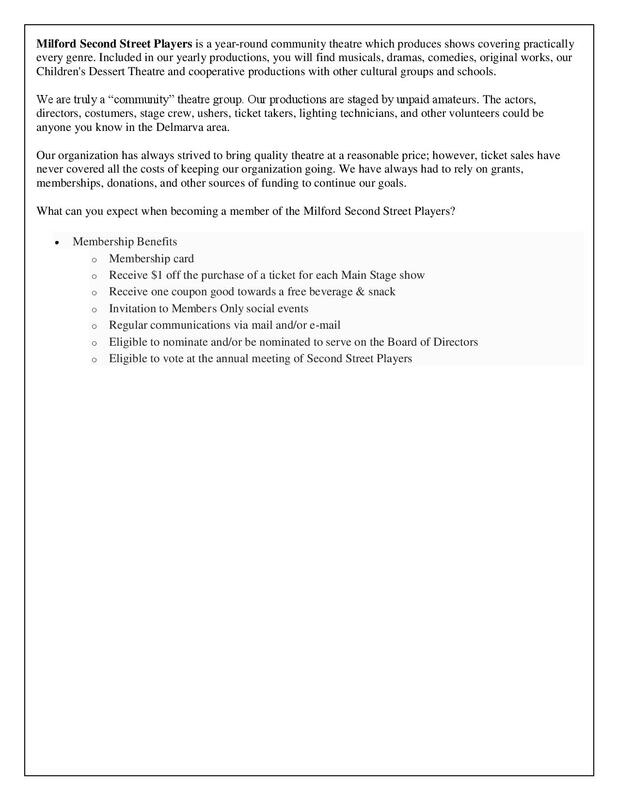 As a member, you have a voice in Second Street Players' mission and activities. As a donor, your generous tax-deductible gift will support our mission and help make the needed improvements to the Riverfront Theatre that ticket sales alone cannot fully provide. Please make that gift today, and JOIN US. Thank you!